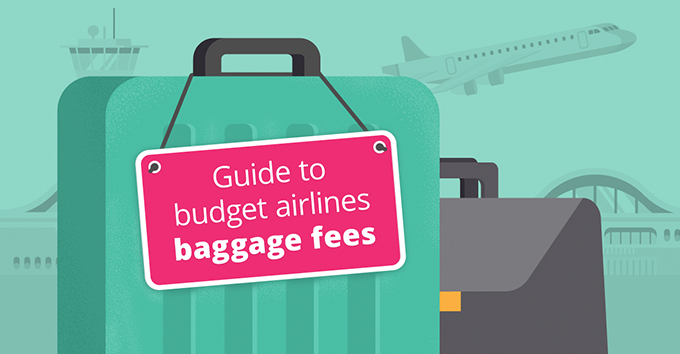 1If you are traveling with budget airlines, you usually need to pay extra for your luggage. The change in the policy for hand luggage in January, which allowed to carry two cabin baggage only to passengers who had purchased the priority boarding, while for all the others the second cabin bag was loaded free in the hold, directly at the boarding gate did not produce the desired results, so Ryanair decided to abolish this policy. From November, passengers will be allowed to take on board the plane only a small bag (40 x 20 x 25 cm), which must be stored under the front seat while for the trolley (55 x 40 x 20 cm) you will have to pay extra. However, if you purchase a "Priority" ticket, at a cost of € 6 when booking your flight or € 8 after booking, you will be allowed to take on board both baggages. In case of "Non-priority" ticket, it will be possible to bring only a small bag on the plane, while for the trolley you will have to pay € 8 during online bookings and € 10 after the booking has been completed. The trolley can also be registered at the airport. At check-in, the cost for the trolley will be 20 €, while at the time of boarding, the registration of the trolley will cost € 25. The air ticket can be booked in accordance with the new rule applicable to all flights from 1st November 2018 onwards. Ryanair allows you to check in up to 3 bags of 20 kg (for a total of 60 kg). The price per suitcase is € 25 (for online bookings) and € 40 (online, after booking). If the weight of the baggage exceeds the permitted weight (20 kg / pcs), you pay a supplement of 11 € / kg. Passengers of easyJet, with a basic ticket, can carry only one piece of hand luggage on the plane. The weight is not limited, while the size can not exceed 56 x 45 x 25 cm (including handles and wheels). Passengers with 'Flexi', 'Upfront' and 'Extra Legroom' tickets as well as the easyJet Plus card holders can take on board also a smaller luggage measuring 45 x 36 x 20 cm, which can be placed under the seat front. easyJet allows you to check in up to 3 bags of 23 kg, offering the possibility to pay for additional luggage, in units of 3 kg (13 € per unit) up to a maximum of 32 kg / pcs. The maximum size (length + width + height) of a single piece of baggage must not exceed 275 cm. But be careful! Despite the weight of a baggage is limited to 23 kg, you will pay less if your suitcase weighs less than 15 kg! For baggage up to 15 kg, online costs from € 10 to € 37, while the cost of a baggage up to 23 kg is from € 15 to € 42. If you decide to check in your baggage at the airport, you will pay more. At the check-in, the cost will be € 41 / piece and at the boarding gate € 52 / piece. If the weight of the baggage exceeds the permitted weight (23 kg / pcs), a supplement of 13 € / kg must be paid. On the Wizz Air flight it is possible to take one piece of hand luggage not exceeding 40 x 30 x 20 cm with a maximum weight of 10 kg. However, if you purchase WIZZ Priority (from € 5 to € 15 at the time of the booking or € 25 at the airport), you are allowed also to take a trolley bag (55 x 40 x 23 cm). You can check-in up to 3 pieces of checked-in luggage. Wizz Air has introduced a new type of checked-in bag with a weight allowance of 10 kg, besides the available 20 and 32 kg options. You can check-in a maximum 1 bag of 10 kg, 2 bags of 20 kg, or 3 bags of 32 kg. Other combination of checked-in bags is not possible to purchase online, while fees vary according to season. For luggage up to 10 kg the cost ranges from € 7 to € 12 online & call center. For luggage up to 20 kg the cost ranges from € 14 to € 60 online and € 55 at the airport, while for luggage up to 32 kg the price ranges from € 19 to € 74 online and € 120 at the airport. For luggage up to 10 kg the cost ranges from € 7 to € 12 online & call center. For luggage up to 20 kg the cost ranges from € 19 to € 70 online and € 55 at the airport, while for luggage up to 32 kg the price ranges from € 25 to € 86 online and € 120 at the airport. (beginning and end dates are inclusive). Low season: period excluding high season. If the weight of the baggage exceeds the permitted weight, a surcharge of 10 € / kg is required. Volotea allows two carry-on baggages to be carried on board. The first must not exceed dimensions 55 x 40 x 20 cm (including wheels, pockets and handles) and the other 35 x 20 x 20 cm. Hand luggage can weigh up to 10 kg in total. If the hand baggage exceeds the dimensions or the weight allowed, it is necessary to pay the supplement of 60 € / piece. The highest number of bags that can be checked in at Volotea is 5 (each piece must not exceed 32 kg) and their total weight must not exceed 50 kg. For one piece of luggage up to 20 kg, you pay from € 12 to € 58 online, from € 16 to € 43 via the call center, € 50 at the airport check-in and € 60 at the boarding gate. For a suitcase, weighing between 20 kg and 23 kg, the cost is 12 € / kg. If the weight of the baggage exceeds the permissible weight (20 kg / pcs), you pay a supplement of 12 € / kg. Transavia allows you to carry on board a hand baggage weighing up to 10 kg. This can be a suitcase or a bag. You can choose between two sizes, 45 x 40 x 25 cm (this hand baggage receives a green tag and is stored under the front seat) or 55 x 40 x 25 cm (this baggage receives a red label and is stored in a cabinet above the seat). If your hand baggage exceeds the weight or size limits, you must leave it at the boarding gate and pay an extra 40 € / piece. Transavia limits the amount of hold luggage to 5 pieces, which can reach a total of 50 kg (a piece can weigh up to 32 kg). The price of checked baggage depends on the weight and payment method. If you discover at the airport you have a baggage heavier than what you registered, Transavia allows you to buy a surplus of kilograms for € 15 for 5 kg. On the Vueling flight it is allowed to take only one piece of hand baggage, up to a maximum of 10 kg and 55 x 40 x 20 cm in size, and a smaller bag that does not exceed 35 x 20 x 20 cm. At Vueling it is possible to check in up to 3 pieces of luggage and the piece weight can reach up to 23 kg. For each piece of luggage the cost is 13 euros online and 50 euros at the airport. While for two or three pieces you will have to pay € 40 online and € 70 at the airport. If the weight of the baggage exceeds the permitted weight (23 kg / pcs), a surcharge of 12 € / kg up to 32 kg / piece is required. Jet2 allows you to carry a hand luggage weighing up to 10 kg with dimensions up to 56 x 45 x 25 cm. In addition, it is allowed to bring a small bag, laptop or bag with purchases from the Duty Free shop. Jet2 allows you to check in 3 bags up to 22 kg each. The maximum total weight allowed is 66 kg but the single piece must not weigh more than 32 kg. Baggage fees can only be found online for each flight reservation or via the call center. If the weight of the baggage exceeds the permitted weight (22 kg / pc), an additional cost of 15 € / kg is required. On the Norwegian flight, passengers with LowFare, LowFare + and Premium tickets can take on board for free a hand baggage size 55 x 40 x 23 cm and a small piece of 25 x 33 x 20 cm with a total weight not exceeding 10 kg. However, if you choose Flex and PremiumFlex tickets, the total weight of permitted hand luggage is 15 kg. The conditions, related to the checked in baggage, are linked to the type of ticket. The LowFare ticket does not include any checked baggage, whereas with the LowFare + ticket, you can register up to 20 kg of baggage at no extra cost. Flex, Premium and PremiumFlex tickets, include in the price two bags up to 20 kg. The single baggage must not weigh more than 32 kg and less than 2 kg, while the total weight must not exceed 64 kg and the dimensions of 250 x 79 x 112 cm with a maximum circumference of 300 cm. If the weight of the baggage exceeds the permitted weight (20 kg / pc), a surcharge of 10 € / kg must be paid. Eurowings allows passengers to carry only one hand baggage up to 8 kg with dimensions 55 x 40 x 23 cm and a small luggage (bag, laptop) measuring 40 x 30 x 10 cm. In addition, passengers can take on board also wardrobe items (headgear, coats,...), for which Eurowings also identifies the dimensions, up to 57 x 54 x 15 cm. On Eurowings flights you can check in a maximum of 5 pieces of luggage and each piece must not weigh more than 32 kg. The cost for the baggage depends on the type of ticket purchased. With the Basic ticket, you pay online € 8 for a baggage up to 23 kg and € 75 for the second bag. With the Smart Pass you can bring a one piece of luggage (up to 23 kg) on ​​board and pay the second bag 75 €. With the Best ticket you can take two pieces of baggage (up to 23 kg) and with the BIZclas ticket for two pieces up to 32 kg free of charge. The extra cost of baggage that exceeds the allowable weight is determined based on the type of flight. For baggage that exceeds the permissible weight, up to 9 kg, you need to pay € 50 for shorter flights and € 100 for long haul ones. * We allow the possibility of unintentional errors. Suitcases ready, flight ticket in your pocket? Book a transfer to the airport!